Kayak Long Island with us! The southern shore of Flanders Bay makes up one of the largest undeveloped areas of wetlands on all of Long Island. It is packed with marshes, small creeks, stands of cedar and pine trees, and is home to an incredibly diverse population of wildlife. It truly is a paddler’s paradise! One, two and three hour tours are offered here. We will meet at the end of Birch Creek Road. To get there, take I495 to exit 72N (Riverhead). Follow the exit ramp to NY25 and head east for 3.5 miles. Turn right onto NY24 and continue south for 4.5 miles. Turn left onto Birch Creek Road and follow it till it ends at the water’s edge. Despite being a bustling harbor, Port Jeff is a really popular kayaking destination. And it should be! Paddling along the shore provides glimpses of beautiful homes and wildlife while still giving us the chance to watch the ferry pass by, observe the comings and goings of the many power and sailboats moored there, and head to the incredibly scenic Pirate’s Cove. We offer one and two hour tours here. We will meet in the parking lot by the beach in Centennial Park. To get there, take NY25a north into Port Jefferson Village. Turn right at the water onto East Broadway and then turn left after 0.2 miles to enter the Village Center parking lot. Travel partway around the traffic circle, taking the first right turn. Follow this short road to the dirt parking lot at the end. 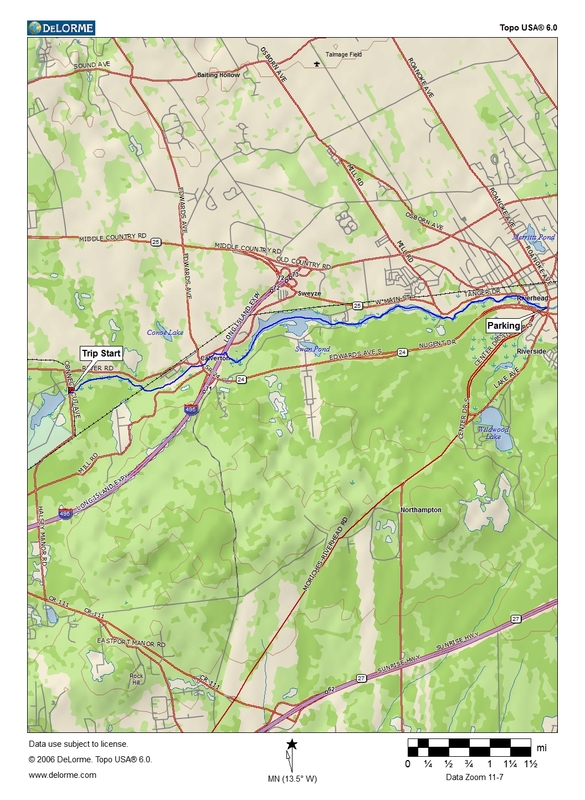 The upper portion of the Carmans River may very well be one of the most scenic paddles on Long Island. Paddling there is like being transported to another place, filled with nothing but plants, animals, and running water. Perfect for individuals or families, a trip down this river is the perfect way to spend a day. We offer a three hour tour here. We will meet at the Southaven County Park Boathouse. To get there, take I495 to exit 68S (William Floyd Parkway). Head south for 2.7 miles, then turn right onto Victory Drive. Follow the signs to Southaven County Park and the boat launch. Rich in maritime history and popular among power-boaters and sailors, Cold Spring Harbor is also an excellent place to paddle a kayak. 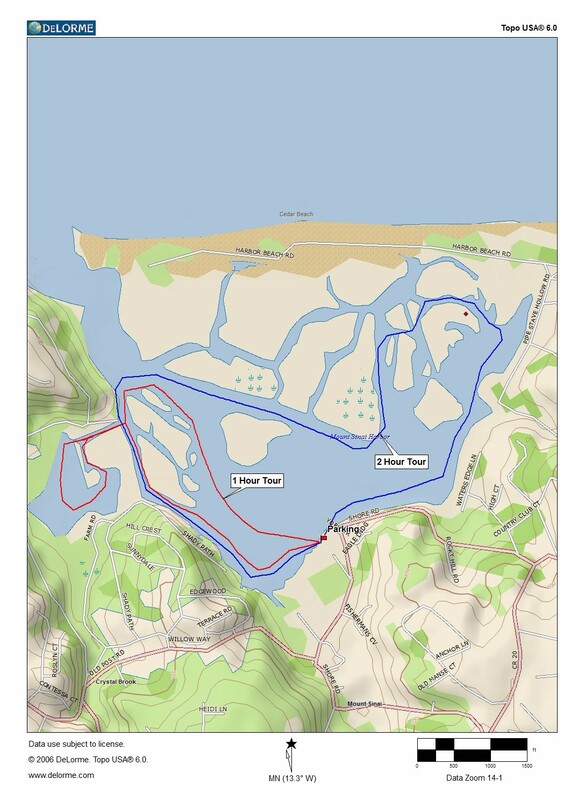 It boasts a calm and protected back harbor, a more open (yet paddling friendly) main harbor, numerous beaches perfect for rest stops, and scenic views in every direction. We offer one, two, and three hour tours here. 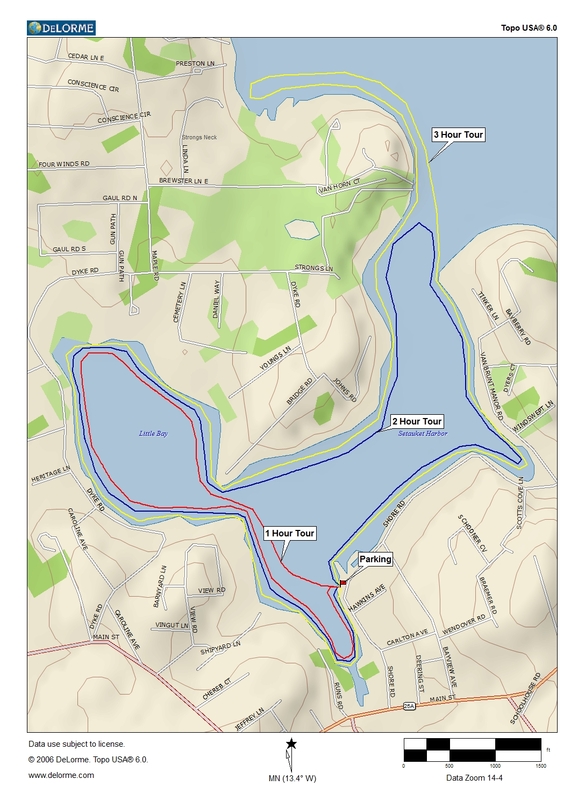 We will meet at the boat ramp across the street from the Cold Spring Harbor Public Library. To get there, take I495 to exit 46N (Sunnyside Boulevard). Turn left onto Sunnyside Boulevard and follow it for 1.1 miles before turning right onto Woodbury Road. 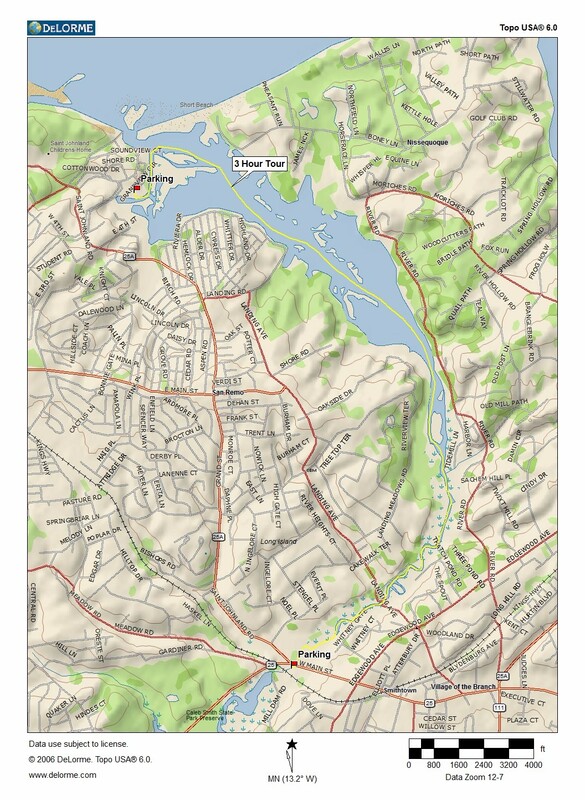 Follow Woodbury Road for 3.1 miles, then turn left onto Harbor Road (NY108). Take the right fork onto NY25A and look for the boat ramp on your left. 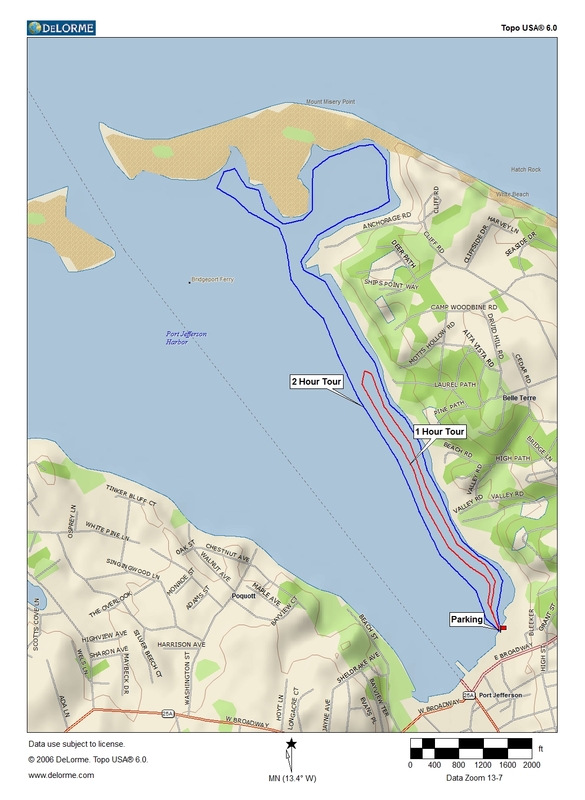 Setauket Harbor is the favorite paddling spot of a good number of kayakers. Once a prosperous shipbuilding location, the harbor is now lined with many historic homes and private docks. But it also boasts a scenic marsh, supports a wide variety of shorebirds, and is quite a good fishing spot. One, two , and three hour tours are offered here. We will meet at the beach on Shore Road in Setauket. To get there, take CR97 north until it ends. Turn right onto NY25A and continue east for 1.6 miles. Turn left onto Shore Road and you’ll see the beach after 0.3 miles. Park along the guardrail on the pier. 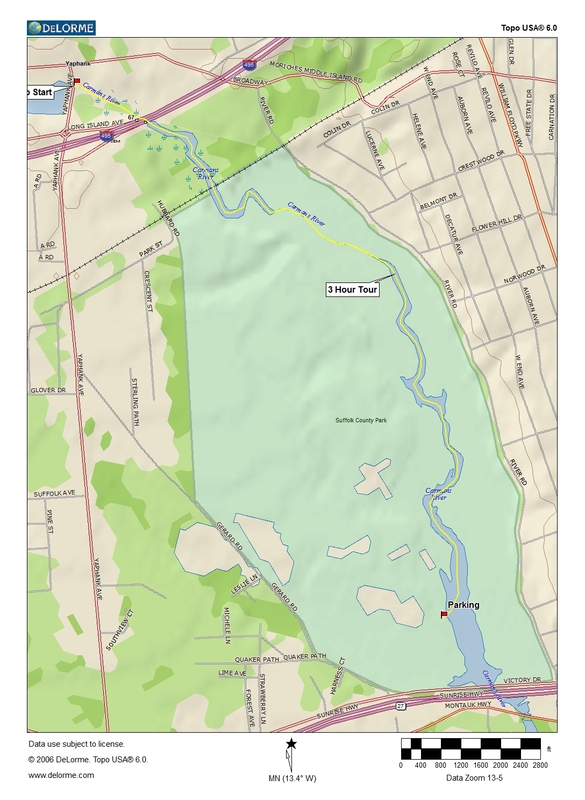 Sebonac Creek is perhaps one of the prettiest paddling locations on Long Island. Paddle here and you’ll experience a beautiful salt marsh, protected water, and a good deal of wildlife. Osprey, terns, egrets, and herons abound here. One, two, and three hour tours are offered. We will meet on the small beach at the end of Barkers Island Road. To get there, take NY27 into Southampton and turn left onto Tuckahoe Road. Continue north for 1 mile, then turn left onto Sebonac Road and take a quick right onto Barkers Island Road. Follow it to the end and park wherever there is room. 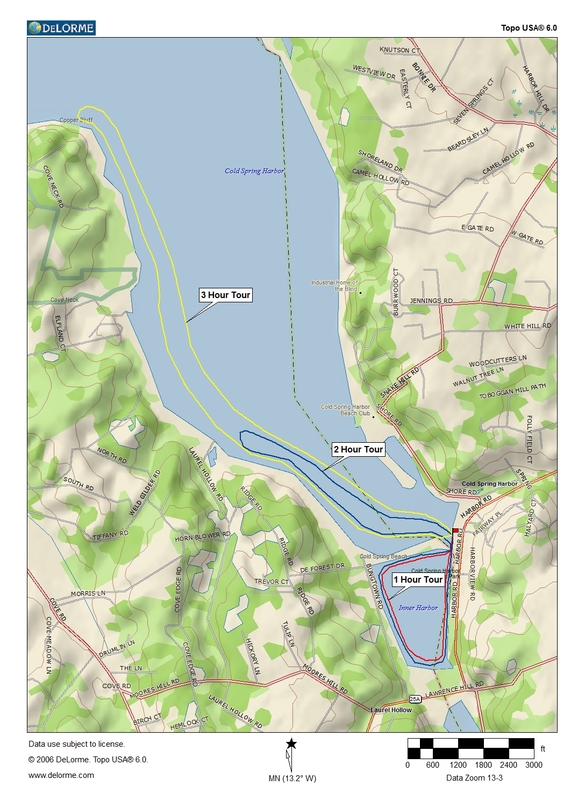 Paddling the Nissequogue River is something that should be on every kayaker’s bucket list. Largely dependent on the tides, the trip can be done either north to south or south to north. Either way, it will take you through a beautiful environment, filled with birds, fish, and a huge variety of plant-life. A three hour tour is offered here. To get to the put-in in Smithtown, take I495 to Exit 55N (Old Willets Path). Head north for 3 miles, then turn right onto NY 25. After 1.5 miles turn right into Paul T. Given County Park. To get to the take-out in Kings Park, turn left after leaving Paul T. Given County Park and bear right onto NY 25A (St. Johnland Road). Continue north 4 miles before turning right onto Old Dock Road. The take-out is at the end of Old Dock Road. Kayaking on the Peconic River is quite different from doing it on the harbors and bays that make up most of Long Island’s waters. 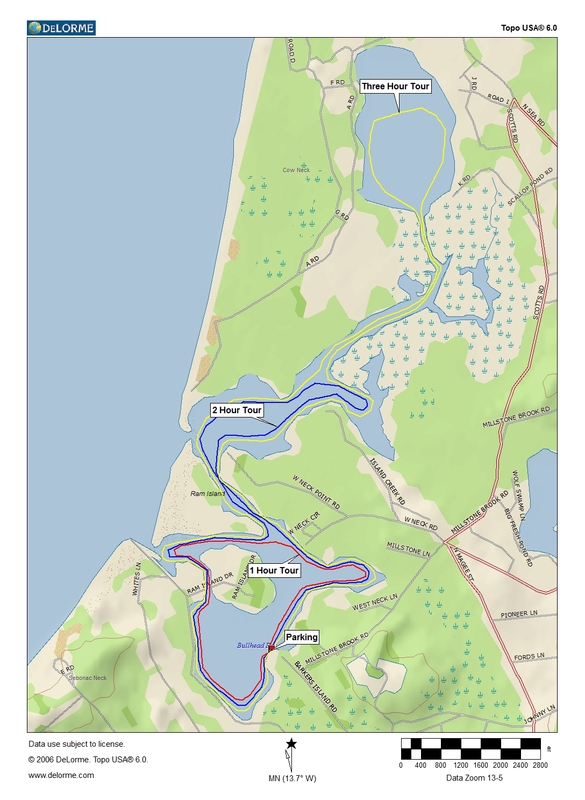 Unlike those open bodies of water, the Peconic is long, narrow, and secluded. Paddling there exposes you to incredibly lush vegetation, a wide variety of animal life, and includes a few portages along the way. It really is a great place to paddle… the 7-mile (four hour) journey will definitely be unique, memorable, and fun! We will meet in the large parking lot by the traffic circle in Riverhead. To get there, take I495 east to exit 72S (NY25). Head east on NY25 for 3.5 miles into Riverhead. Turn right onto Peconic Avenue and the parking lot will be on your left. Mt. Sinai Harbor is a small harbor with a lot to offer paddlers. Numerous small islands, winding paths through marshes, and tons of wildlife are all present in the harbor and make it a kayaking destination worthy visiting. One and two hour tours are offered here. We will meet in the Satterly Landing parking lot. To get there, take I-495 to Exit 63N (CR 83). Take CR 83 north 8 miles and turn right onto NY 25A. After 0.4 mile, turn left onto Echo Avenue, then left again onto Pipe Stave Hollow Road. After 1 mile, turn left again onto North Country Road. After 0.25 mile, turn right onto Shore Road. Look for Satterly Landing on the left side of the road, 0.75 mile distant.